Is this conclusive proof that no confrontation ever took place between Michael Slager and Walter Scott and that the cop’s life was never in peril? Pictured, Walter Scott fleeing. 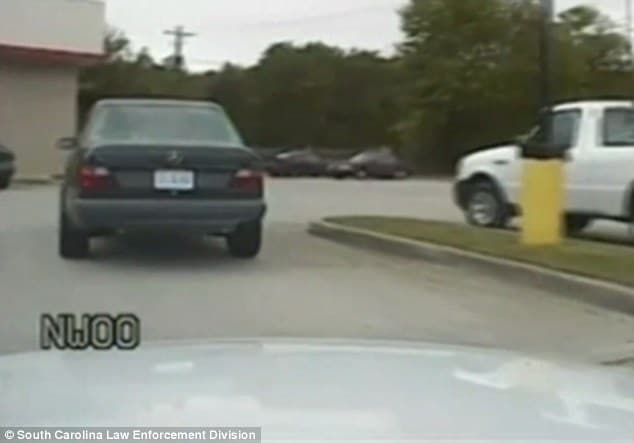 A dash cam video (see below) since released has contradicted arresting police officer, Michael Slager’s claims that a physical altercation had ensued between himself and engaged individual Walter Scott. An engagement which the South Carolina cop would argue had him fearing for his life and necessitating the use of deadly force. Michael T. Slager support fund: Will you give? 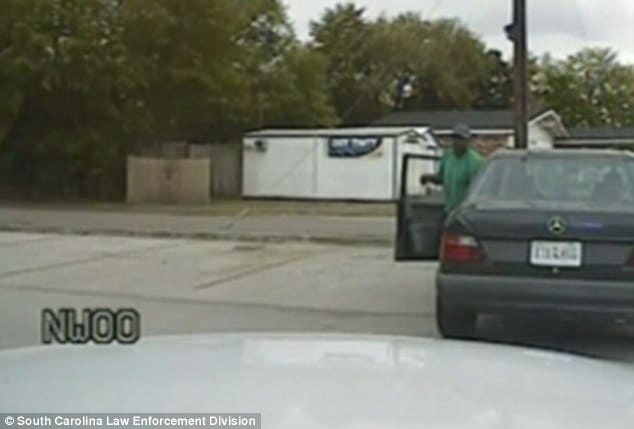 Raw Video: Officer Michael Slager shoots dead unarmed black man in the back. 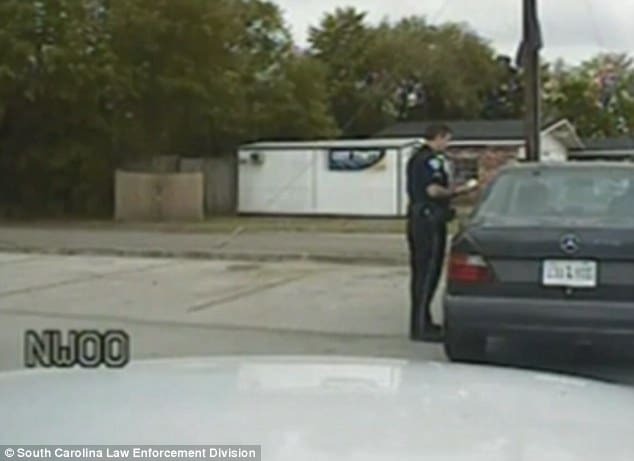 Instead newly released video shows the moment Slager pulled Scott over and engaging in a civil discussion, mere minutes before the cop would kill Walter Scott in cold blood. Scott, who appears to be accompanied by a person in the passenger seat, explains he does not have any documents as he has yet to officially buy the car. ‘I haven’t bought it yet, I’m about to do that Monday…. My car is down,‘ he says. 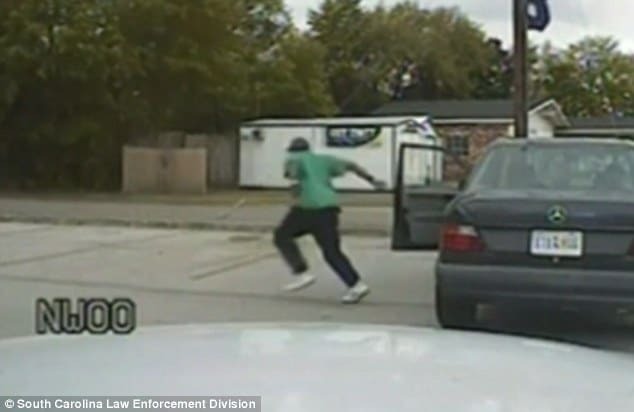 When Slager returns to his vehicle, Scott flees, running towards the park where in a few moments he will be gunned down by the police officer who pulled him over. The sounds on the recording, released by the South Carolina Law Enforcement Division, are the only record of the apparent altercation, which Slager claims prompted him to shoot. The South Carolina cop insists he tried to sedate Scott, but the father-of-four grabbed the Taser and fled. An account that would be called in to question after an eyewitness, Feidin Santana happened to capture what had actually transpired. 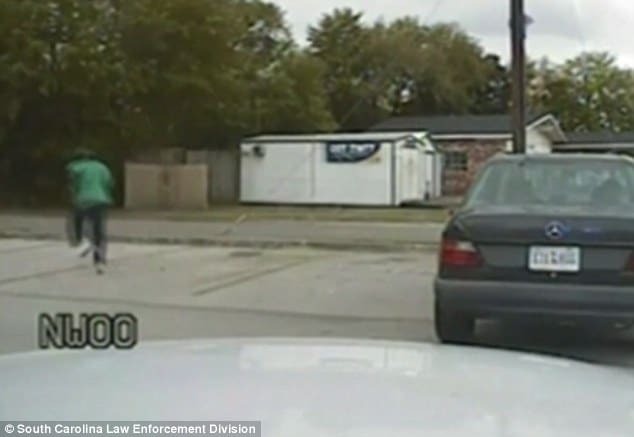 Slager shooting the fleeing unarmed man in the back, with no immediate or imminent danger to anyone apparent. It is claimed Scott ran because he feared being arrested for failing to pay a child support installment. In the end he would be shot at by Slager from a distance of 15- 2o feet before falling to the ground. From there footage shows Slager returning to the point where the Taser fell to the ground 30 feet away, returning and then dropping it next to him. It is only at the two-and-a-half minute point that the cop is seen placing his hand on Scott’s neck in an apparent attempt to check his pulse. A colleague then arrives before handling the body, but is not seen performing first aid. They are joined by a third officer, who also does not appear to tend to the victim. 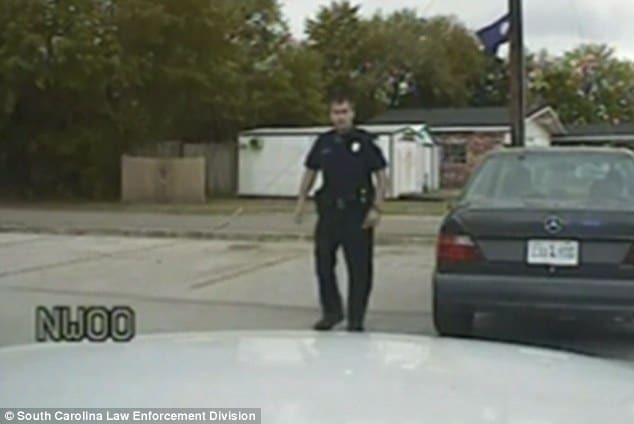 The lack of effort to bring Walter Scott to immediate attention and whether Slager’s partners had sought to protect him and cover his misdeeds has called for action to be taken against those officers.